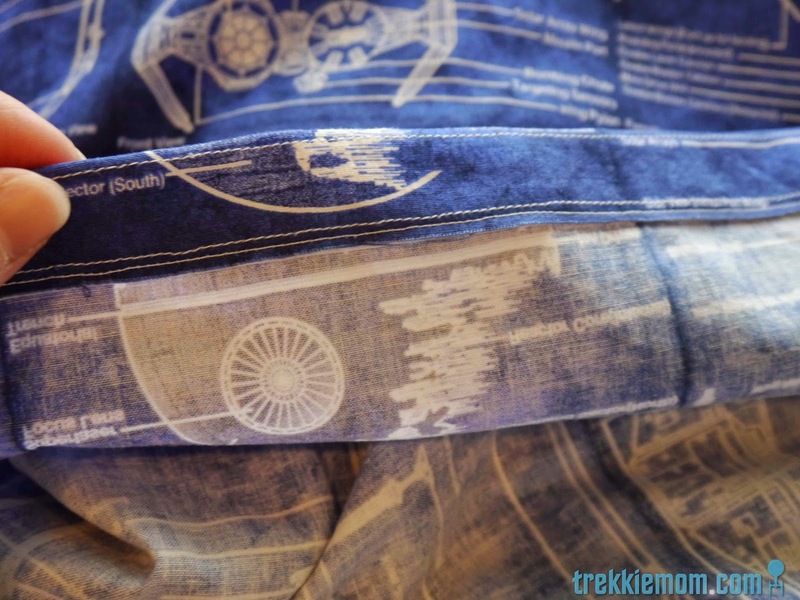 1 1/2 yards of 2 different fabrics 43" - 44"
OR 3 yards of 1 fabric 43" - 44"
44" x 50.25" - Cut fabric for one side of duvet. 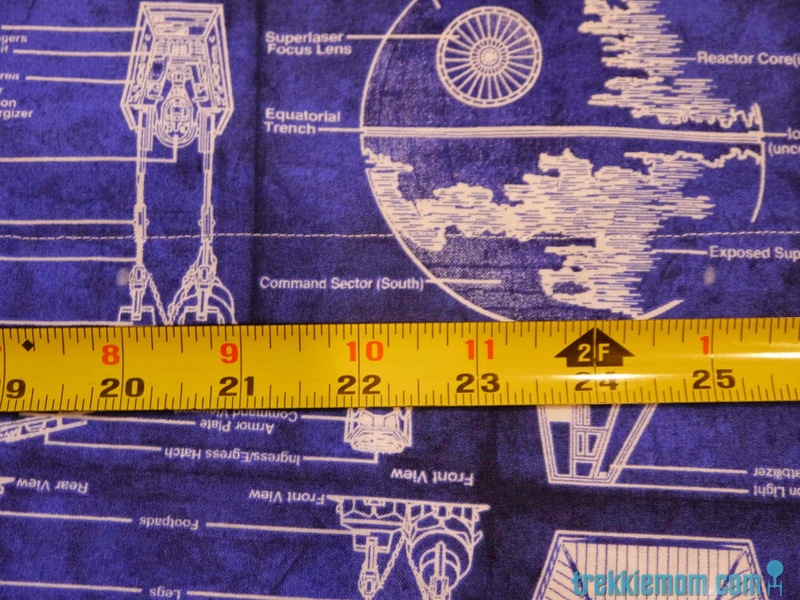 I think you could easily get away with a 43" wide fabric as well. 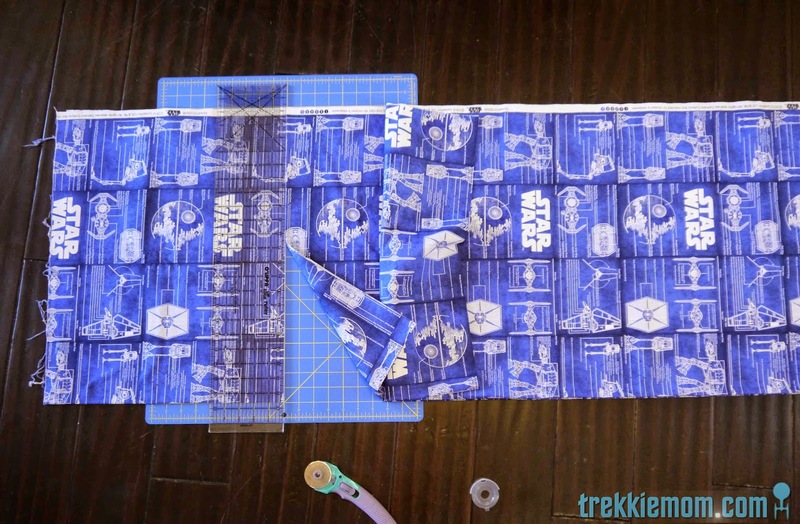 To make this tutorial easier, choose a fabric that is 43" - 44" wide. 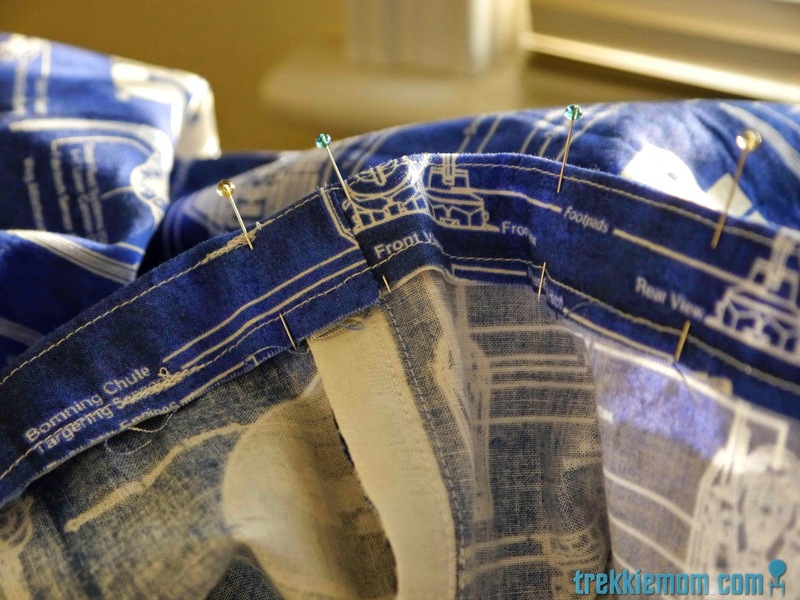 If your fabric has a design that has to be right-side-up, measure and cut 2 pieces 50.25" long, or measure and cut 1 piece 100" long. 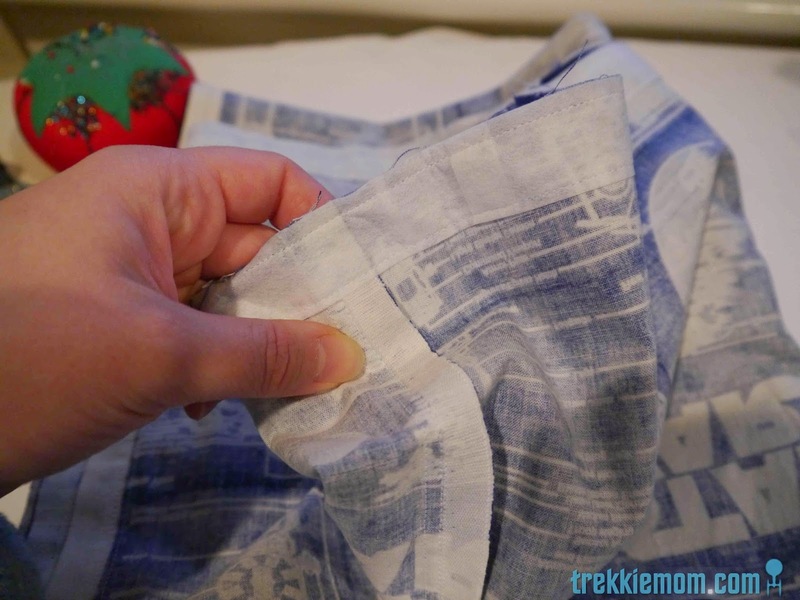 If you have an existing IKEA toddler duvet cover, you can use that to get the length and add an extra 2.25" for seam allowance and bottom closure. Place right sides together. If you have one piece, fold it in half with the wrong side out. 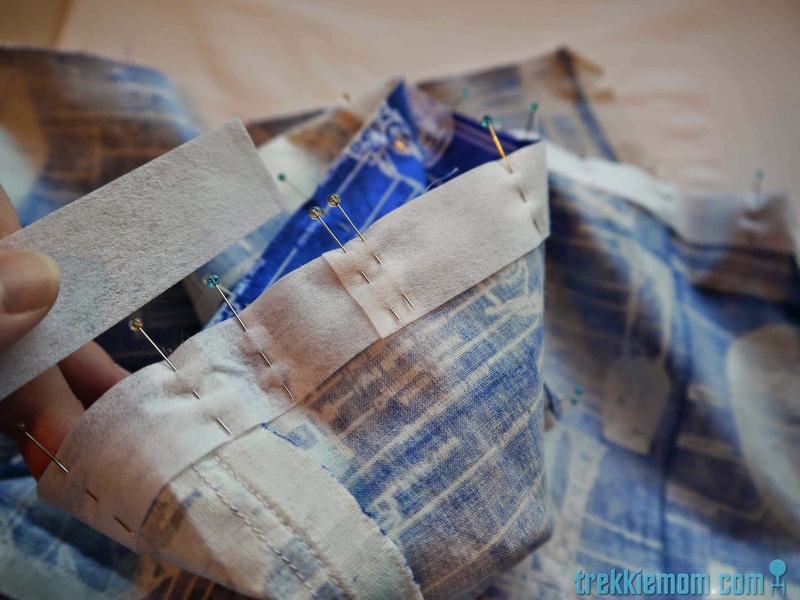 Pin and sew your 3 or 2 seams respectively. 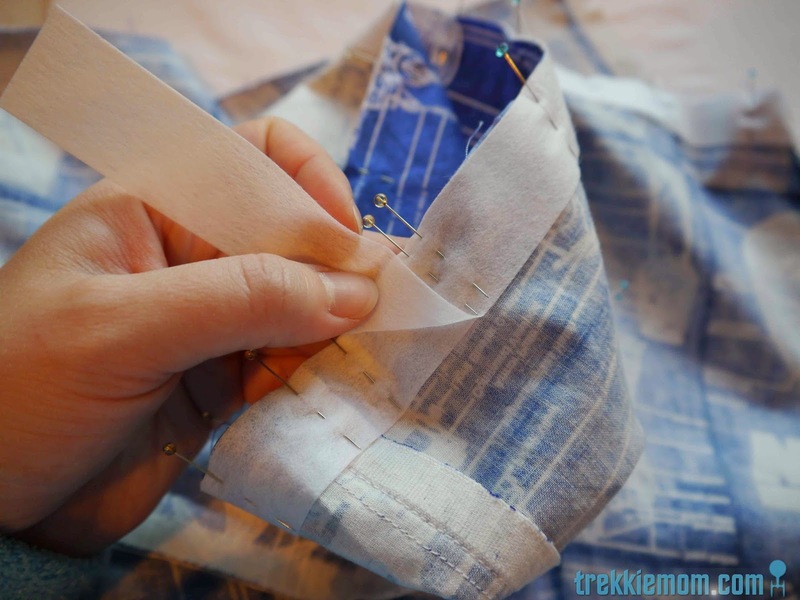 Clip the corners if you sewed a top seam because you have an unfinished edge at the top. If you have an unfinished edge at the top like I did with the 2 pieces, you need to zigzag or serge the top edges to prevent fraying. But those sides, don't need anything else! 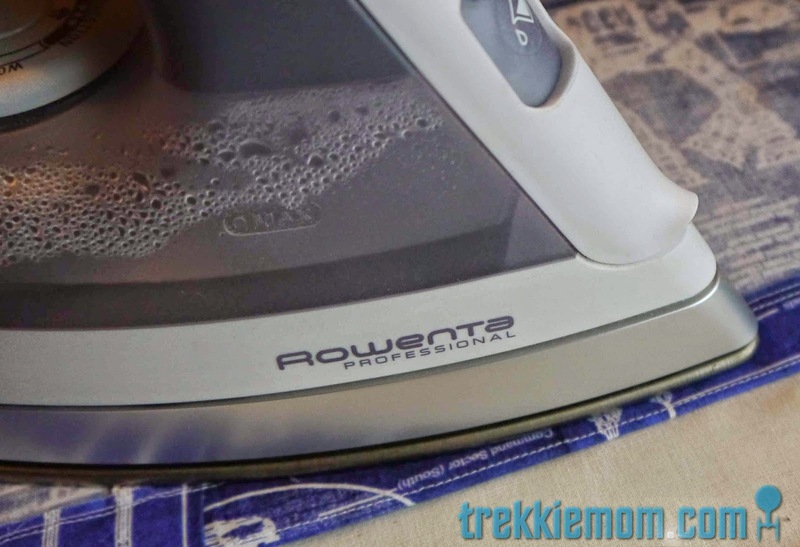 Yup just leave the selvage alone. Easy peasy. 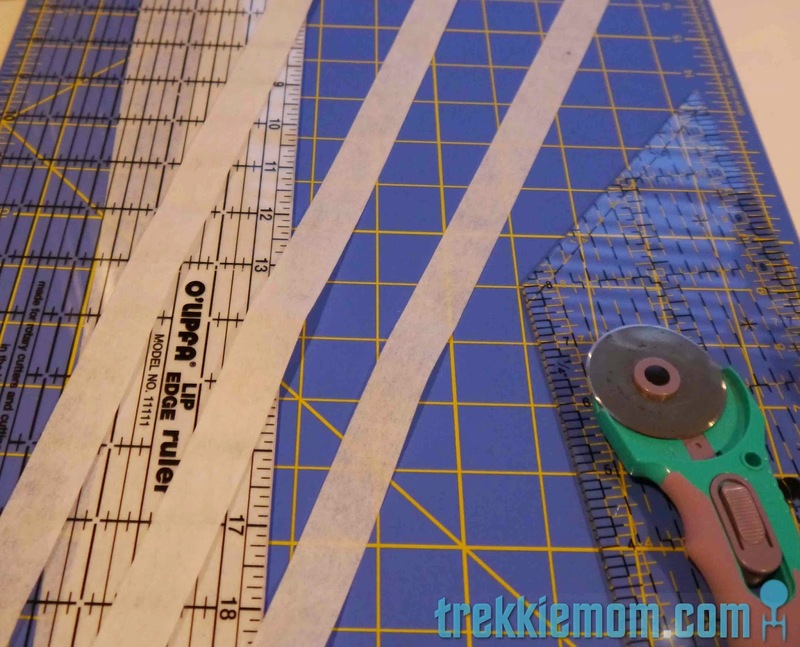 Cut several strips of 1" interfacing for the bottom to provide some extra strength for the snap or whatever closure you choose. You will need about 3. Pin it to the bottom opening all the way around, overlapping when one piece ends and another starts. 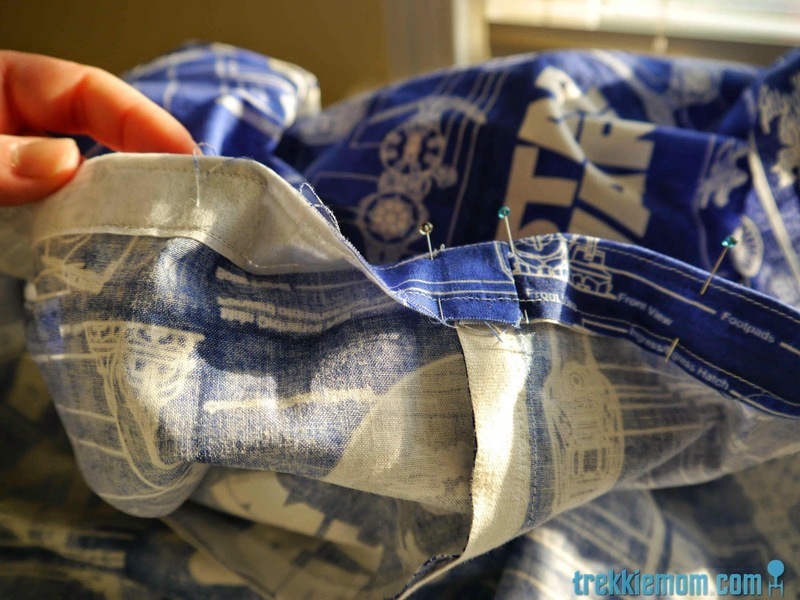 Sew it in place, top and bottom. 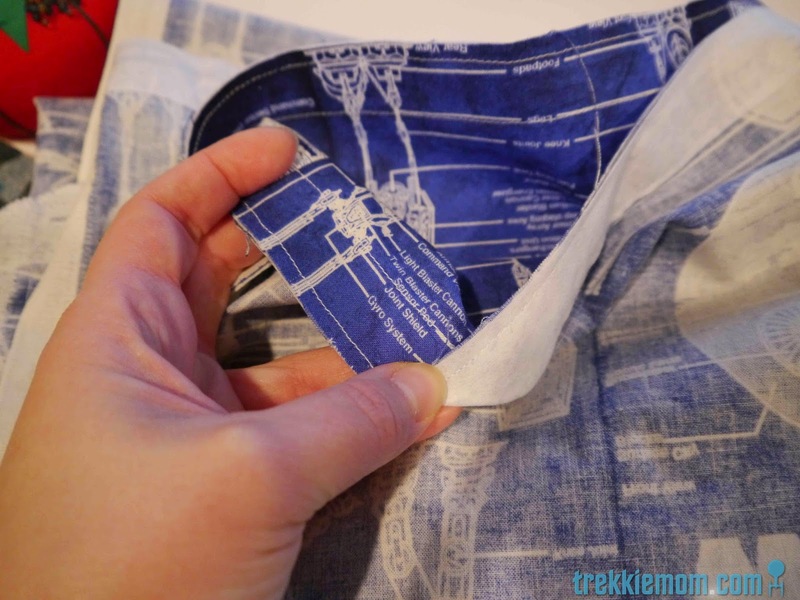 Using your interfacing as a guide, fold and press the fabric over an inch. 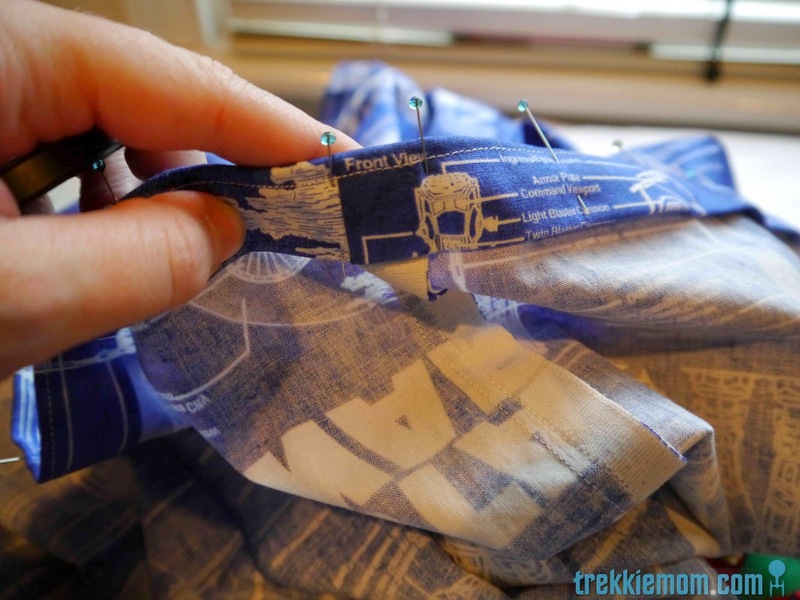 continue by folding over one more inch, pressing and pinning. 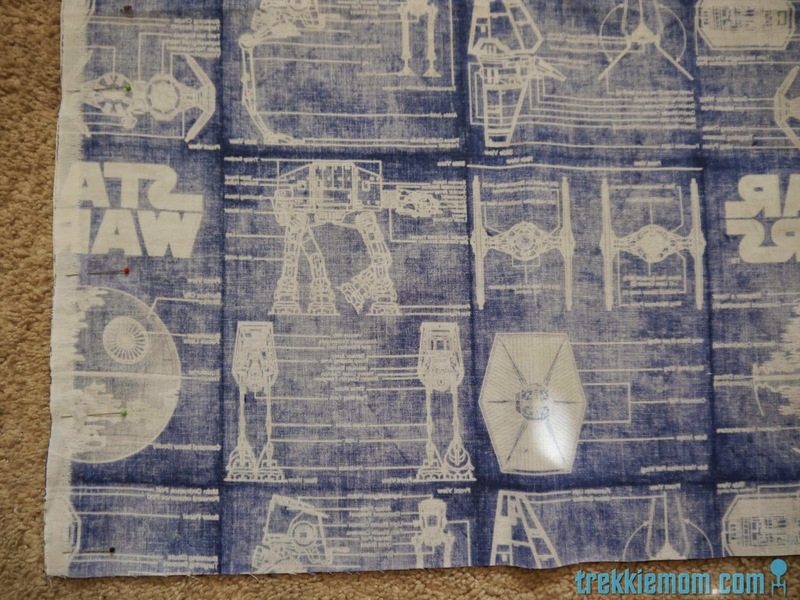 I finished this one by sewing at the top and bottom of the fold. I liked the way the white thread looked. Now it is time to apply your KAM snaps or other closure to the bottom opening. I used a fabric pencil to mark my snap placement about 5 inches apart. 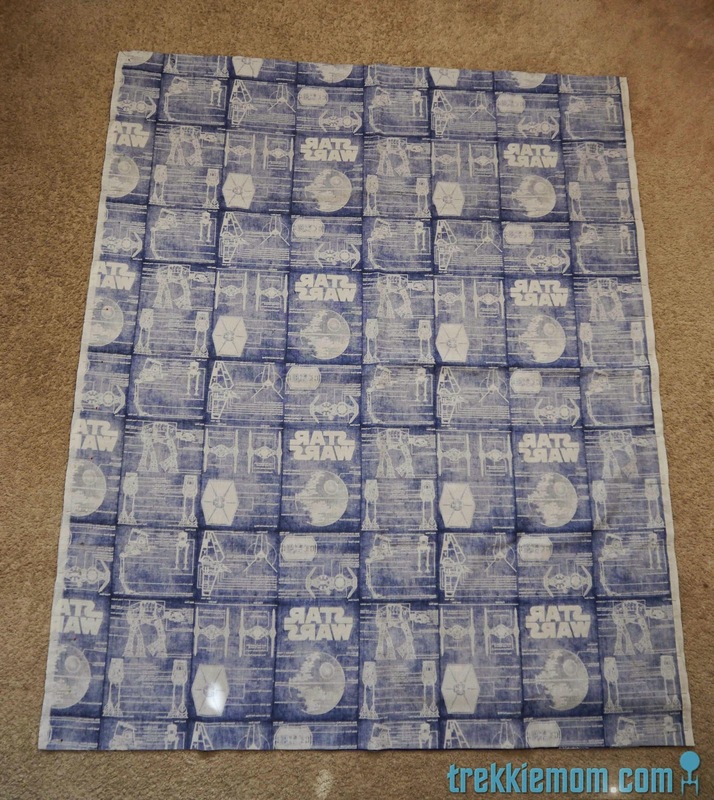 Now the coup de grace for this piece are these great 'robot' (they look like R2D2, really) KAM snaps that I scored for free from kamsnaps.com. If you spend enough you can get some free goodies, and the threshold is not even too expensive. All I had to do was spend enough to get free shipping, which I had planned on anyway. Who can argue with that! 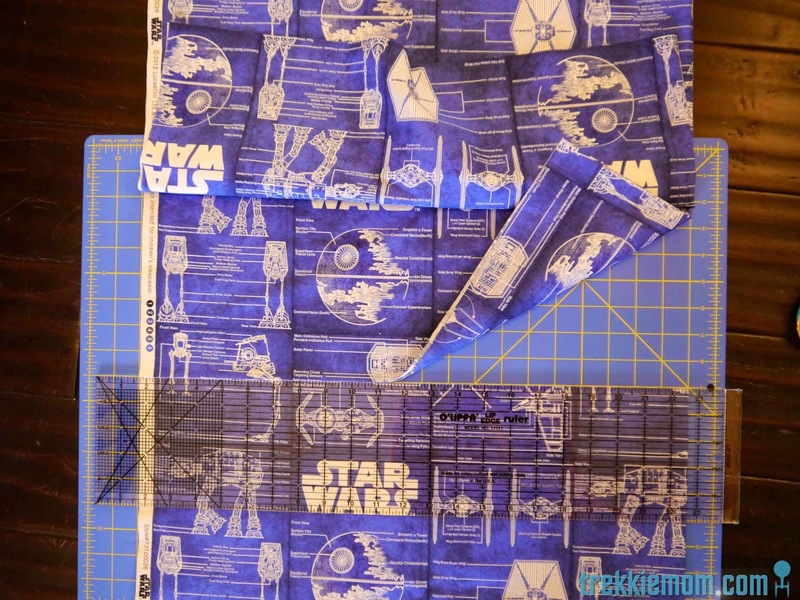 Star Wars fabric and R2D2-like snap closures. Thanks again, Teddy, for being such a good model! 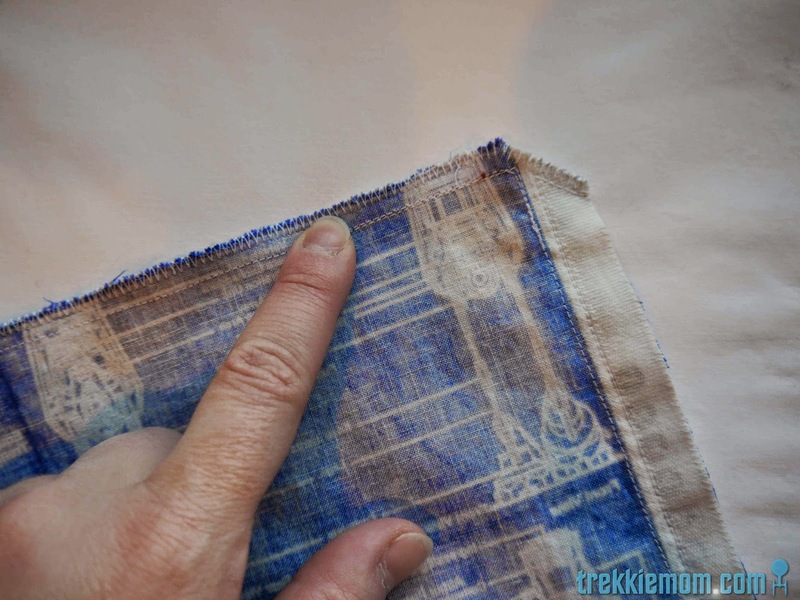 If you are interested in making the matching pillowcase, here is my DIY Pottery Barn Pillowcase Tutorial, again. 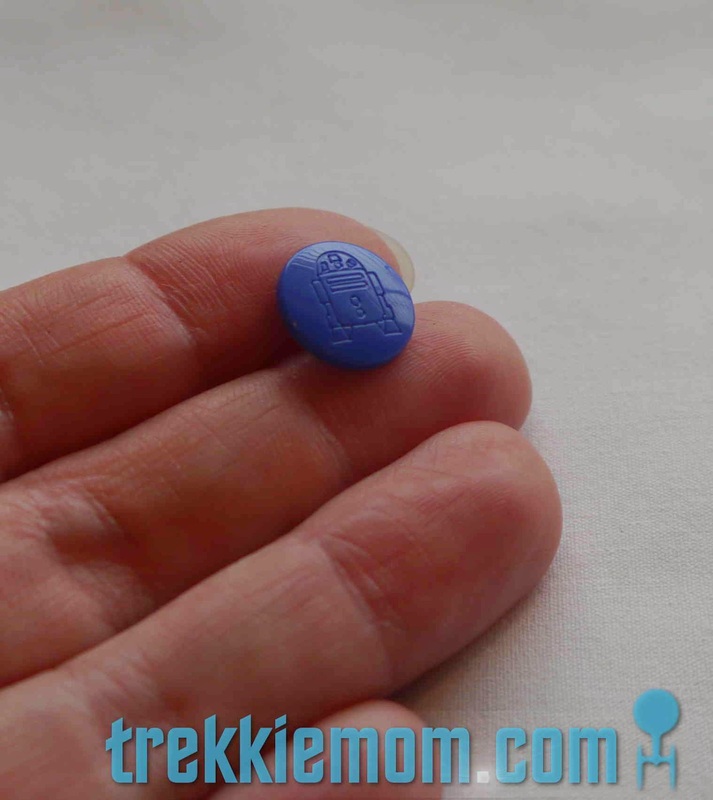 My kids are all grown, but I am looking to make one for a friend who's having a baby. Teddy is a good model, and thanks for the tutorial! 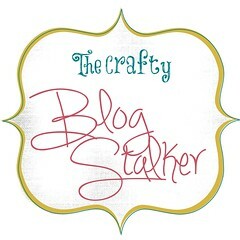 It was sweet of you to stop by and let me know you liked my vintage dish lid towel holders! It isn't hard to like your work. :) And thanks for the lovely comment.